Jumia affiliate is the Nigerian best choice when it comes to affiliate marketing especially Nigerian based blogs not actually because they pay much but because they are better than their competitors nothing more. I was a member of Jumia affiliate facebook group and have seen many Jumia affiliate partners asking lots of questions on how to make more money on Jumia affiliate while some are complaining about having more traffic and clicks and yet no single sales. 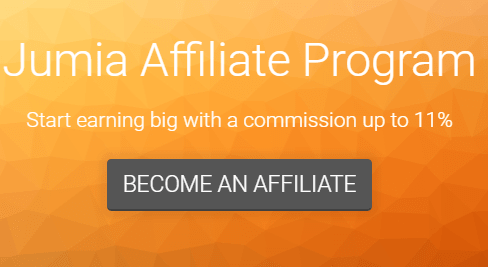 If you are using Jumia to make money through affiliate marketing then this post is for you because I will be answering most of the question you might have and as well guide you on how to make more money as an affiliate marketer. Before we proceed there are few related articles I published about Jumia affiliate marketing that you might be interested to check out. To be sincere am not a big fan of Jumia affiliate and I don't like them either but I still use them as a supplement to other ads that i use and if you have a Nigerian based website with 80% audience then you might be left with few options but then your aim should be to make more sales and earn more despite the low commision structure. Now we are going to look at the few reasons why you might not be making more sales as you should and if you are sending more people to Jumia without making any sales then you will surely know why and how you can handle it. Making money online in any form is all about getting targetted audience that might be interested in what you offer but the hardest part is to get the right people to visit your site because the calculation is hard work = more visitors and then more money. People are spending millions of cash on a daily basis paying for product and services online and if you need to have your own share you must learn how the game is being played to achieve a positive result. Before building a website you need to have a blueprint of what the website should be about, the type of audience you need and the location to target which will help you a lot. Most Nigerian bloggers prefer general category website that allows them to write varieties of content in a particular website forgetting that niche website pays more when it comes to affiliate marketing. Xtremeloaded can be a perfect example of a general category website and trust me it can generate a good income from any Nigerian based affiliate partners but will not be compared to niche blogs that focussed in specific topics. If xtremeloaded received 10-20k pageviews per day and made 1-5 sales on jumia then an niche website with similar page views will sale between 5-30 sales on jumia per day, do you know why? The Answer is because the niche website is well targetted than xtremeloaded that many visits for different reasons and motives. If I have a fashion blog where I discuss about the latest clothes and footwear in Nigeria then it is possible that anyone who visits the fashion blog wishes to know more about the best designed and attractive clothes, shoes, wristwatches and eyeglasses and will be willing and ready to pay for it while on the other hand it will be hard to determine what xtremeloaded visitors might be interested to buy since it's a general discussion forum except by monitoring the article that is ranking and find the right product to promote in such pages. As far as affiliate marketing is concerned you need to build trust that will enable your audience to trust your judgment on products and services you reviewed but the question is how? To earn A trust you must be sincere to your audience and never try to deceive them simply to make money and you can as well keep them closer to your blog by researching and publishing helpful and high-quality content that will make them love your website and your work. Many don't care much about trust and they can go to any rent to make extra money without caring about the royal followers which are wrong and personally I don't try to mix internal link with an external affiliate link, I always tell my users where they are heading to and the choice to go or no is all their's. Claiming that you have used a product or services just to make your audience trust and pay for such a product is wrong but it's also true that you can't use all the product you reviewed but in my own case I don't tell my users that I have used it when I had not instead I will tell them that I brought the product to them because it looks promising and worth checking out and to try it will be their own choice to make. Trust can help you sell more because even those who don't like shopping online will relax and shop because they trust and know you can't deceive them or refer them to fraudsters. You are not seeing any sales after sending tones of visitors to Jumia because you are marketing and promoting the wrong product to your audience, as I have explained above using targetted niche website and general category website as an example. Don't promote a product or services because of the high commision share but based on the interest of your audience because there is no need promoting what your audience is not willing to buy. If you have niche blog you will surely know what product to promote for maximum profit but if you have a general category website then google analytics can help you find what your visitors are looking for which will help you determine the close related product to promote. In some cases you might be good at what you do but what about your website, it needs to be well designed and optimized for batter conversations and sales. Don't lose your followers simply because they don't understand your website structure, neither does it look appealing to them but always remember that the first impression matters a lot and your website design and navigation is one of the first impression. Your website should be responsive and load faster so that even your users and search engines will not be disappointed because most people will just try some other websites that respond faster when you keep them waiting. You spend most of your time asking how you can make money fast online forgetting that nothing good comes easy and those bloggers you want to be like have worked out their way to the top and you want to be on the top doing nothing Noway! Serious bloggers are cracking the brains researching to provide helpful and unique content to their users and you are moving around looking for someone else work to copy and paste on your website and you want to be on top and make more than 200k per month right? You need to understand clear here, your first priority is to bring in traffic to your site and the best way to do that is to learn and form the habit of writing high quality and helpful content that can bring the right people to your website. In reality, I understand that anyone who visits Xtremeloaded came for a reason and they might not care to visit if nothing attracted them to come. People visit website to find information, to get help, to ask a question and to learn, make your website a place loaded with useful and unique info, give them a solution to their problems and be ready to answer their questions in a timely manner and all this will surely guarantee your success. Making money through affiliate marketing is possible and I am marking some cash right now but when it comes to Jumia affiliate marketing you will really need lots of targetted audience to make a reasonable amount of money and if you have what it takes to target other countries other than Nigeria then you will send a chance to make lots more if you succeed.